A simple and light plugin to display information about warning in post. 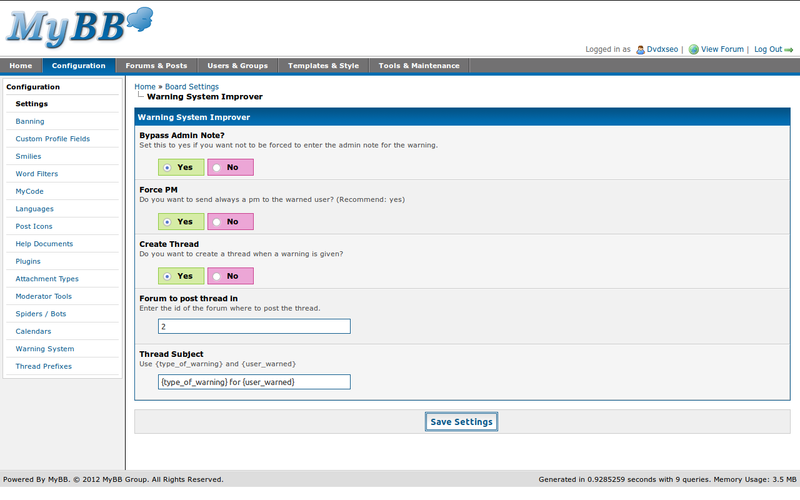 Select a reason for deleting post of other users and automatically send them a PM to inform them . 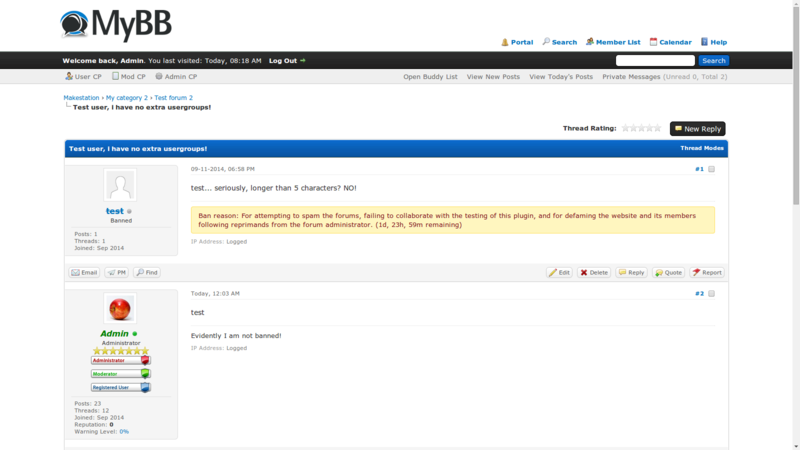 Displays ban reasons and expiration dates publicly on the user&apos;s profile and postbit. 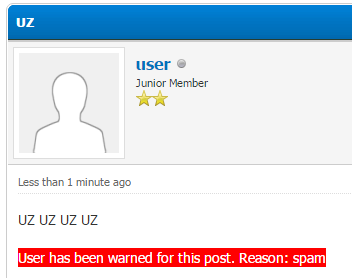 Allows moderators to apply a warning as verbal with zero points added. Send warnings without increasing the warning level.